Futura Ceramics was founded in 2004 with the sole purpose of providing superior quality, consistency and timely supply of materials to the ceramic tile industry in India. Along with ceramic glaze frits & mixture products, the company has forayed in Ceramic rollers since 2009 with a highly specialized set-up of imported machinery, kiln furniture and skilled personnel. This expertise specially built using German technology for manufacturing price competitive ceramic rollers is pioneering in India. Within a short span of time, we have proved our mettle by establishing a strong reputation in the ceramic industry as a receiver of Capexil award for two years in a row and export award for 6 consecutive years for exporting ceramic frits and rollers. We have maintained a consistent quality supplier record in the export market and are recognized as the Indian pioneer in manufacturing and export of Ceramic Frit. Futura Ceramic Rollers demonstrate proven performance for perfect processing of ceramic products across the conveyer belt as a result of superior quality, excellent thermal shock resistance and good B.D. Harnessing of the German technology used for making ceramic rollers protects the entire batch of ceramic products across the conveyer belt, thereby ensuring the desired output and securing investment. 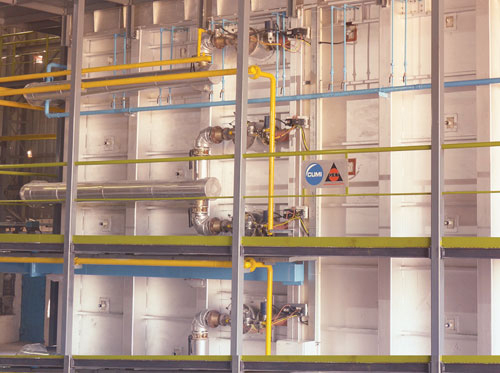 Three high temperature kilns for continuous production of rollers – THE LATEST BUILT WITH HIGHEST QUALITY STANDARDS AND PRECISION OF GERMAN TECHNOLOGY AND ENGINEERING DESIGN. Our processes are designed with meticulousness and efficiency along with inspection of packaging of materials from one end to the other in a continuous cycle. 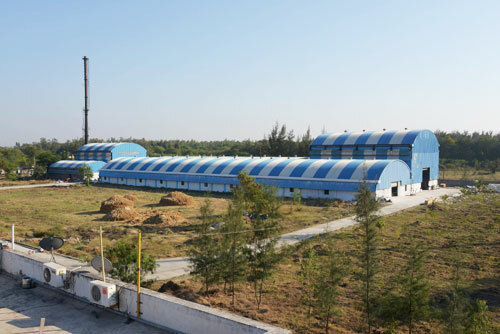 Heat given off during the cooling cycle is monitored and reused to pre-heat the incoming material to be fired with monitored energy utilization system. Specifications are confirmed with the customer before confirming the final dimensions. According to the customer’s drawing, rollers will be cut, drilled and customized before dispatch. Installation of rollers for the entire kiln will be provided with technical support to train personnel for loading the rollers.